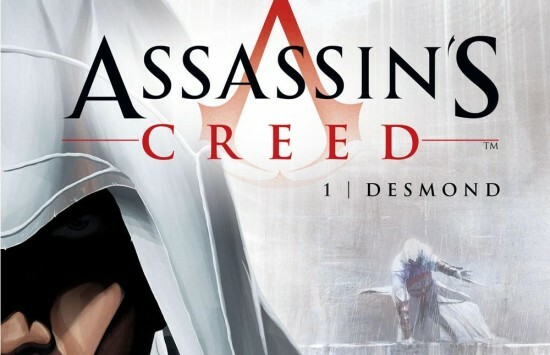 As reported last week here on The Flickcast, during Sony’s E3 Press Conference, the company announced that in the upcoming Assassin’s Creed II game the main character, Ezio, will be making hits during the Italian Renaissance. But unlike the first game, you won’t be going in to this on your own. You’ll have allies aiding you, teaching you and providing useful tools along the way. The most important of these allies is the famed Leonardo Da Vinci, one of the greatest artists and thinkers of his time. As already demonstrated during Sony’s press conference, Ezio will have access to some of Da Vinci’s greatest inventions to help advance his cause. One prime example of this in the use of Da Vinci’s well known “flying machine”. Now you might wonder why someone like Leonardo Da Vinci would associate himself with a killer. The answer to that lies in the essence of who Leonardo was. He was a futurist. He thought about what would be coming lifetimes ahead of him, as seen by many of his inventions that were the basis of many current technological marvels. In the first Assassin’s Creed, the assassin Altair worked for a guild that only assassinated those who deserved it. They put the needs of the many ahead of the needs of the few in their eyes. Following Nintendo’s Wii Sports Resort and Mario filled press events, Sony Computer Entertainment of America’s CEO and President Jack Trentton took the stage. Jack said that despite numerous press leaks, Sony still had some tricks up their sleeve. He was proud to announce Sony would be releasing 364 games this year before pointing out that Sony was the only company currently running three separate systems at the same time (which isn’t entirely true as Nintendo has the Wii, DS and DSi, which has some different games not available to the DS). After giving some projected sales figures for the Playstation 3, he applauded the success of Infamous, calling it the first successful summer blockbuster game with ratings averaging over 90%. The first new title shown, Uncharted 2: Among Thieves, was presented by Evan Wells, CEO of developer Naughty Dog. The single player gameplay footage showed Drake and a female companion climbing across rooftops when they were attacked by a helicopter. Running toward the copter and then through a building dispatching enemies on the way, the game looked beautiful. The backgrounds expanded in the distance as the town Drake is adventuring in is burning in certain spots. In addition to the ability to kick over furniture to create cover, the demo ended with a great scene of the building you are in toppling over with furniture crashing all around you before a harrowing escape. Jack Trentton made sure to add that Uncharted 2 is a PS3 exclusive as it was something that “could only be done on the Playstation 3.” This turned out to be the “phrase of the day” for the Sony representative.